Four Sri Lankan nationals have been returned home after being intercepted by an Australian border protection vessel off the Cocos (Keeling) Islands. Immigration Minister Peter Dutton said the vessel had been detected northwest of the islands on February 9. 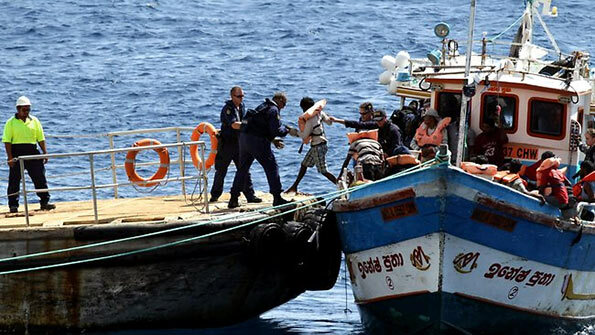 They were transferred at sea to Sri Lankan authorities a day later, after being interviewed by border protection officers to determine whether they could be returned safely. The vessel was never in distress. Dutton said the government was committed to stamping out the people-smuggling trade in the region. It is the first processing at sea and transfer since the High Court ruled such operations legal in January.